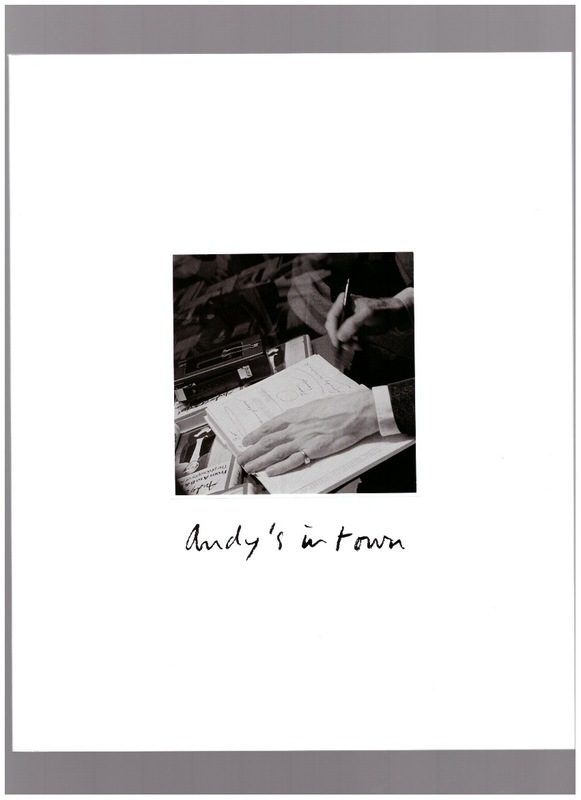 Artist book composed of images that Chaimowicz took in 1975 of Andy Warhol signing copies of The Philosophy of Andy Warhol (From A to B & Back Again) in London. Chaimowicz, then a recently graduated art student, had heard about Warhol’s book signing at Foyles Bookshop, and decided to attend to pay homage to one of his heroes. On arriving at the store, he was met by throngs of like-minded attendees and, feeling disgruntled at the parasitic nature of fandom, turned on his heel without meeting Warhol face to face. However, as was the norm for the artist, Chaimowicz had been taking photos on his Olympus OM-1 during the wait. With texts by Charles Asprey, Lucy Kamara Moor and Andy Warhol.